Flaudry Mae Plant, age 81, of Orange, Texas, passed away after a long illness, on Thursday, November 29, 2018. Visitation for family and friends will be held on Saturday, December 1, 2018, from 4:00 until 6:00 PM at Dorman Funeral Home in Orange, Texas. Funeral services will be held on Sunday, December 2, 2018, at 2:00 PM at St. Mary's Catholic Church in Orange, Texas, with Father Daleo performing the funeral ceremony and rite of interment. Flaudry was born on Sunday, March 28, 1937, in Kaplan, Louisiana to parents, Anna Mae (Dartez) and Jessie Bonin. She had been a lifetime resident of Orange, Texas after moving from Kaplan, Louisiana when she was 12 years old, with her mother, father, twin sister, Audrey and brother, Jesse. Flaudry lived a full and happy life and truly enjoyed every single day of it. Flaudry was born as an identical twin to her sister, Audrey. The Bonin twins, Audrey and Flaudry, were known throughout the Orange, Texas area for their outgoing personalities and their beautifully sewn, handmade outfits, that their mother made for them. Flaudry was the head cheerleader at Stark High School in 1955, Miss Orange in 1956 and was the first runner up in the Miss Texas pageant in 1957. She married the love of her life, Larry Plant, in 1957 and in 1958 they welcomed to the world, their only son, Larry Clint Plant, who was without a doubt, the light of his mother's life. The couple's life quickly became all about anything and everything to do with their son. Whether it be school sporting events or just every day activities, Flaudry never missed a single one. 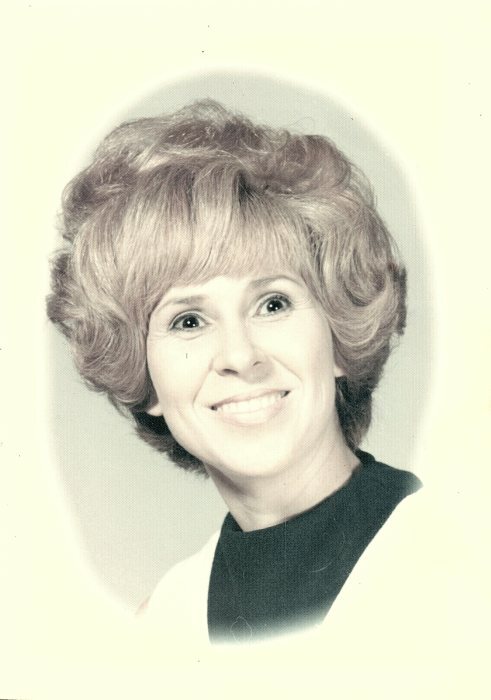 Flaudry worked for Dr. Roderick Fisette, First Savings and Loan of Orange, Texas, as well as many years serving as the county clerk with Judge Pat Clark. The later years of her life were dominated by her undying loved for her two grandsons, Casey Plant and Cody Plant. Flaudry was a daughter, wife, mother, grandmother, sister and friend who will forever be loved and missed by all who knew her.